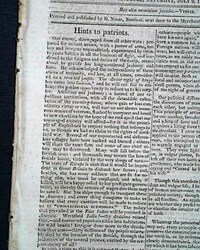 Many of the Founding Fathers of the United States continued to have direct and/or indirect impact well beyond the end of the Revolutionary War... their influence extending far into the early 19th century. 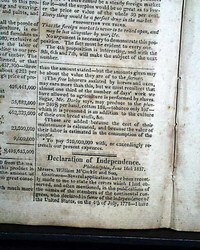 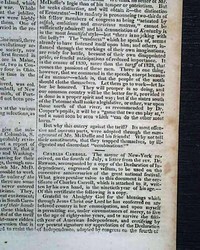 The following issues, while dated post-1799, have references to these historic figures from American History. 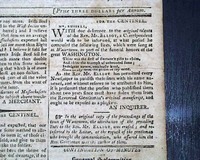 * Woodcut of a ship which includes the famous phrase: "Don't Give Up The Ship"
Page 2 contains a letter datelined from Monticello, Sept. 6, 1799, signed in type by: Th. 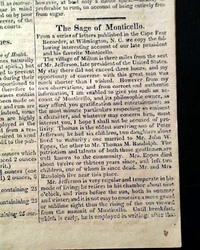 Jefferson, sent to publisher James Callender, with whom he had a very contentious relationship. 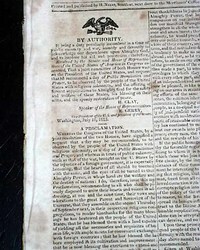 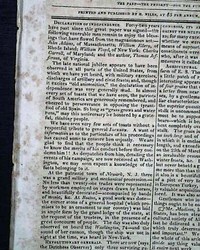 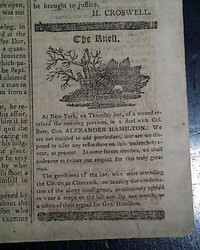 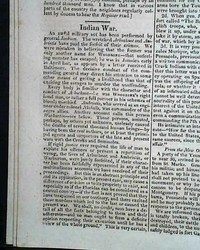 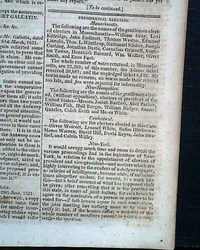 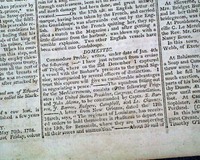 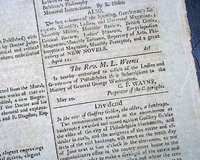 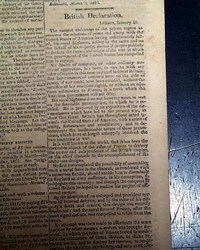 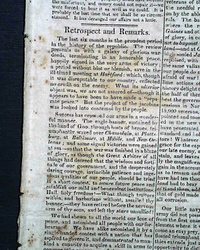 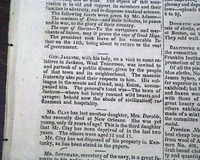 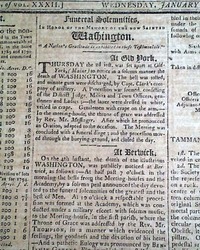 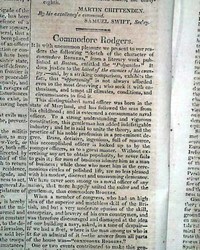 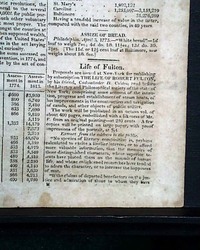 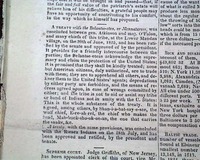 The front page has: "Funeral Solemnities, In Honor Of The Memory Of The Now Sainted Washington. 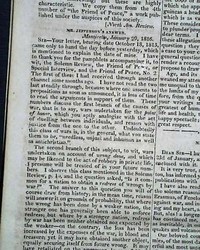 'A Nation's Gratitude is exhibited in these Testimonials.'" 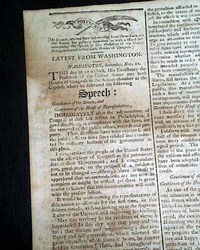 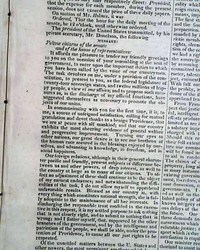 Page 2 begins with the: "Speech" delivered by the President, being his state-of-the-union address to Congress, signed in type: John Adams. 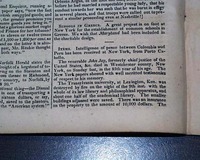 This address takes nearly 1 1/2 columns. 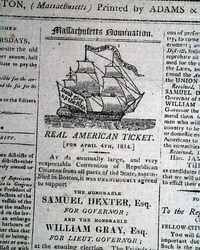 This was actually part of Massachusetts at the time as Maine did not become a state until 1820. 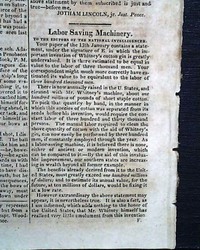 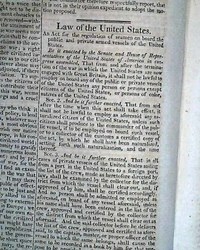 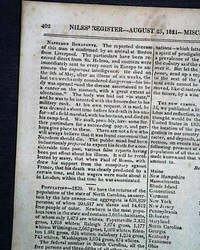 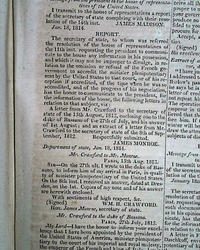 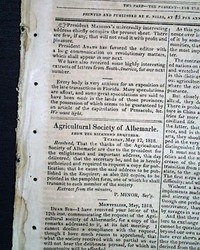 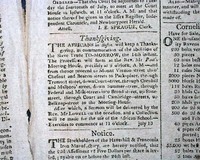 A very early Maine newspaper 14 years before statehood. 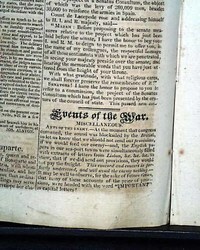 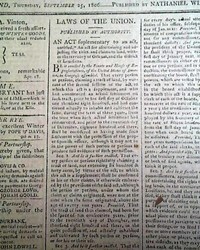 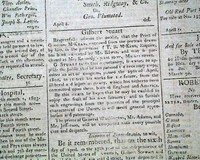 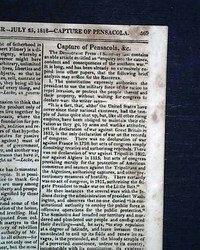 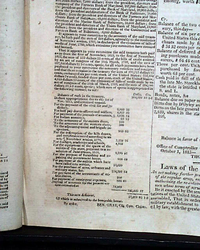 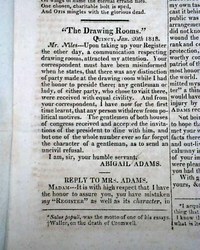 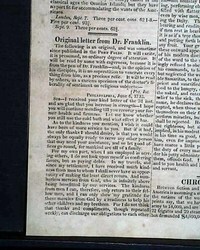 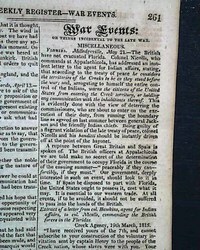 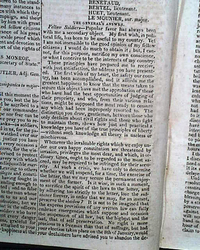 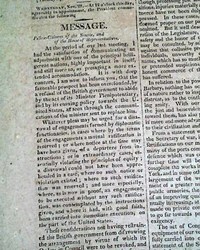 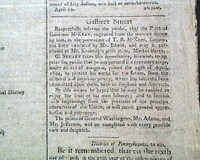 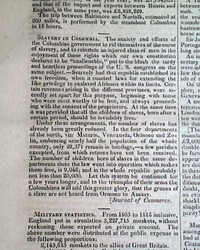 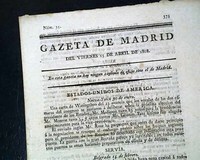 GAZETA DE MADRID, Spain, April 15, 1808 The ftpg. 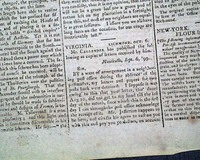 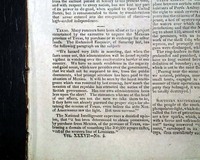 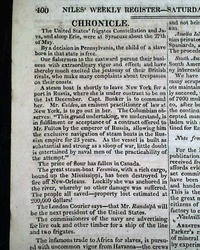 begins with news from America announcing the election of James Madison as President. 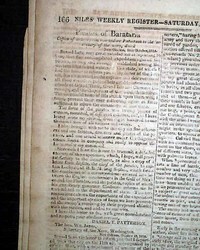 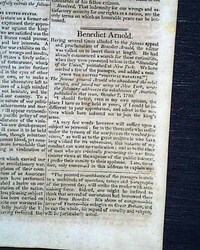 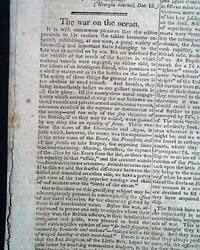 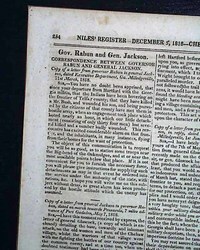 Eight pages, never bound nor trimmed, 6 by 8 3/4 inches, great condition.